In today’s toxic world full of heavy metals, plastics, mold, and synthetic chemicals, there is one superstar nutrient working overtime to keep your body functioning optimally. Meet glutathione: your body’s master detoxifier! 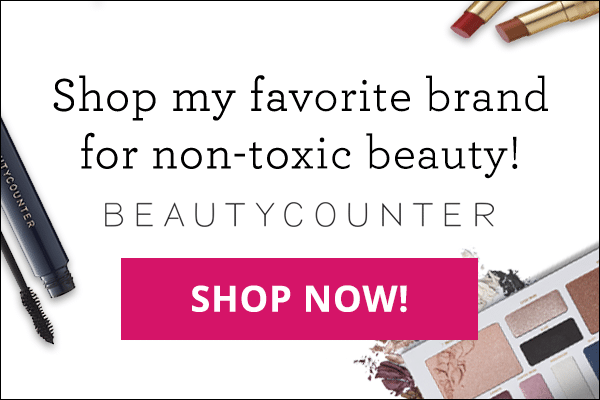 No other nutrient works harder to eliminate mercury, lead, aluminum, mycotoxins, parabens, phthalates, and the hundreds of other toxic substances we come into contact with on a daily basis. I literally refer to it as “glorious glutathione” in my New York Times bestselling book, The Autoimmune Solution, because that’s how much I love it and how helpful it is for those of us dealing with chronic illness such as mold toxicity, heavy metal overload, autoimmunity, Hashimoto’s, Graves’, and other conditions. In this article, I’ll be covering what glutathione is, why we need it, the health benefits of glutathione, and how to get more of this powerful nutrient! Although your body does produce some glutathione naturally, a poor diet, toxins, medications, stress, and illness deplete your glutathione levels, or halt production completely. Exposure to heavy metals such as mercury, cadmium, lead, or arsenic can also lead to glutathione depletion. Every single one of us is exposed to an unprecedented amount of toxins in this day and age. There are over 80,000 chemicals registered for use in the United States, and each year another 1,700 are added to that list. Many of these industrial chemicals are the basic ingredients in our cosmetics and personal care products. An average of seven new industrial chemicals get approval by the U.S. government daily, and 80% of these are approved in three weeks or less with little or no safety testing done. You read that correctly – the FDA does not investigate or test for the safety of personal care products before consumers buy them! Instead, the Cosmetic Ingredient Review (CIR), an industry-appointed and funded panel, reviews the safety of cosmetic ingredients. According to EWG, there are approximately 10,500 ingredients used in cosmetics in our country, and in its 30 year history, the CIR has screened only 11 of those ingredients. This means that, if we do the math again, nearly 90% of cosmetics ingredients are left un-reviewed and un-tested for safety. The consequences of our increasingly toxic world can already be seen in the skyrocketing rates of allergies, asthma, cancer, and autoimmune disease over the last half century. In 2003, the Environmental Working Group (EWG) partnered with the Icahn School of Medicine at Mount Sinai in New York City to study to test the “body burden” of the average American–not those working with chemicals or living in polluted areas, just regular people who they assumed were relatively safe. Out of 210 different substances tested, they found a total of 167 in the group with an average of 91 toxins in each person’s body, including industrial chemicals, heavy metals, polychlorinated biphenyls (PCBs), insecticides, dioxin, and benzene.5 Of the 91 toxins found in the average person, at least 53 are known to suppress the immune system. This is a key piece of the puzzle when it comes to understanding today’s autoimmune epidemic and the surge in chronic illness. Maintaining a healthy diet and lifestyle is a good place to start when it comes to keeping your immune system functioning optimally. 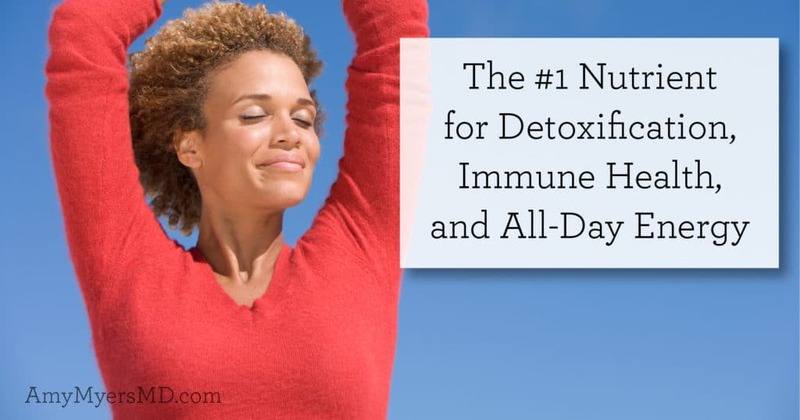 I recommend a two-step approach for taming the toxins: 1.) minimize your exposure, and 2.) support your detox pathways. However, the bombardment of environmental toxins we face each day–in the form of water and air pollution, pesticides and herbicides in our food, and chemicals in our beauty products and cleaning products–requires us to turn to our body’s most powerful methods of detoxification to keep up with our individual toxic burdens. That’s where glutathione comes in! Mycotoxins and heavy metals can build up in your system, leading to a whole host of issues–including allergies, eczema, and autoimmune disease–and can prevent you from achieving optimal health. When I see someone struggling with chronic symptoms even after addressing the other pillars of The Myers Way®, I often suspect mold toxicity or heavy metal overload. As your body’s “master detoxifier”, glutathione binds to toxins and pulls them out of your system so you can safely and effectively flush them out of your system. Glutathione is by far your body’s most potent free radical scavenger, and can even protect your DNA from the most notorious free radicals including advanced glycation end products (AGEs) and reactive oxygen species (ROS). Glutathione is responsible for coordinating the activity of antioxidants in your cells, including Vitamin C, Vitamin E, and free radical fighters CoQ10 and Ubiquinol. This activity clears your cells of toxins and protects your cells and their mitochondria (the “power plants” in cells that provide your body with fuel known as ATP) from oxidative damage, allowing them to function at peak efficiency. Something I notice all the time in my patients with autoimmunity is depleted glutathione levels. Without enough glutathione, you are more susceptible to attacks on your immune system, as toxins, heavy metals, and free radicals are allowed to accumulate and wreak havoc on your body. Optimal glutathione levels can help support immune health by boosting white blood cell count. White blood cells are immune cells that defend your body against infections, disease pathogens, and even cancer cells! If you have an MTHFR mutation or a SNP on the GSTM1 gene, you don’t detoxify heavy metals as well or process glutathione as efficiently as most people. 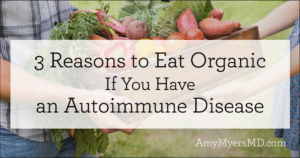 And if you have an autoimmune condition or another chronic illness, that means your glutathione levels have been depleted and are currently suboptimal. Fortunately, there are a few ways you can increase your glutathione levels to enhance immune function naturally. Sulfurous vegetables such as onions and garlic, as well as cruciferous veggies including broccoli, kale, cauliflower, and cabbage can help your body make its own glutathione. However, if you have autoimmunity, mold toxicity, heavy metal overload, or another chronic illness, getting enough glutathione to overcome your condition from foods alone can be a challenge. Supplementing with glutathione is particularly important for those with compromised immune systems. I have seen amazing results in myself and my patients with autoimmune disease, toxic mold exposure, heavy metal overload, lyme, fibromyalgia, and chronic fatigue when taking a glutathione supplement. 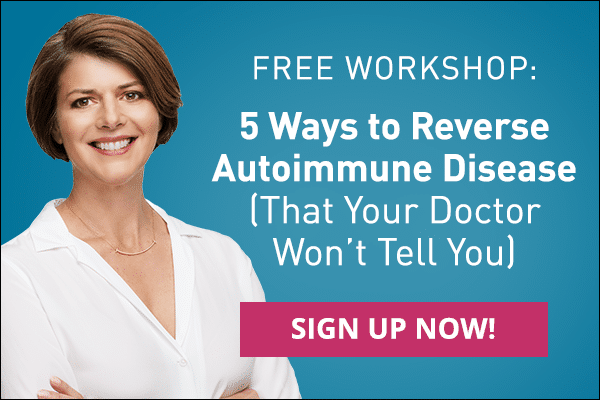 In fact, glutathione is so helpful for people with autoimmunity that it’s one of the three supplements in my Autoimmune Trio kit, available now for a limited time! 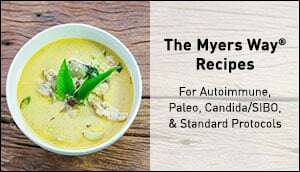 Along with glutathione, the Autoimmune Trio also includes curcumin and resveratrol, and these three supplements taken together potentiate one another, meaning their effect is even stronger! 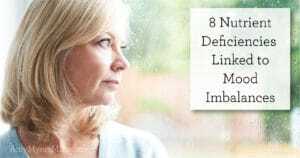 You can read all about these supplements (and the two other supplements I recommend for everyone with autoimmunity) in this article. While its use is critical for those with autoimmune conditions, glutathione is so powerful that I recommend it to anyone who wants to reach peak optimal health! Research has shown that glutathione can help maintain lean muscle mass, reduce recovery time, and shift metabolism from fat production to muscle development, making it an excellent choice for athletes.7 It’s also great for nights of indulging. Although I rarely ever drink alcohol and recommend only drinking on special occasions, I always take my glutathione before imbibing to combat the toxic alcohol byproducts that produce a hangover. Here’s where you need to be careful though–glutathione is definitely one of those supplements that you get what you pay for. In fact, most glutathione supplements out there simply don’t work! 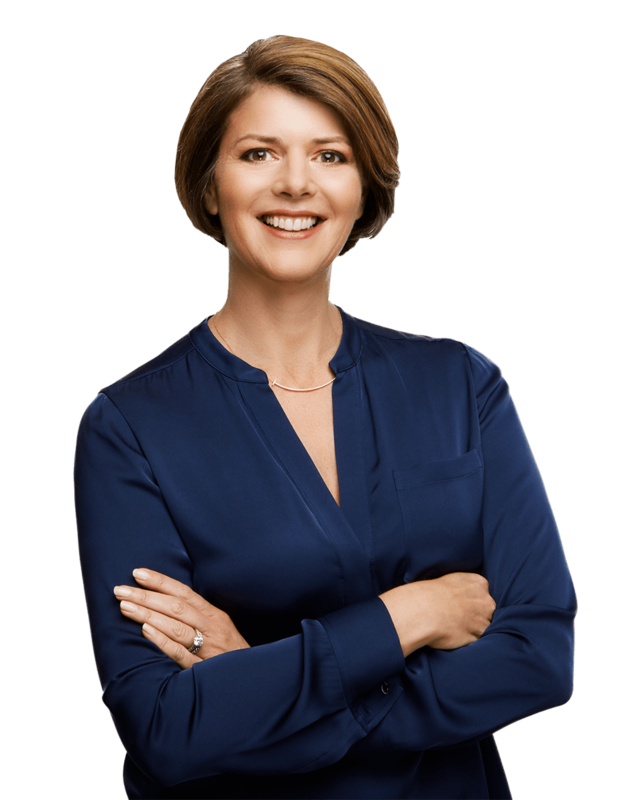 When I was sick from toxic mold, I tried every glutathione on the market to help my body get rid of the toxins–and wasn’t getting any response. That’s because glutathione is typically not well absorbed when taken orally. To be absorbed by your body, glutathione supplements must be in the proper form. The “liposomal” form has been advertised as being able to penetrate your cells, however I personally haven’t found it to be effective in myself or my patients. The best way to absorb it is with IV glutathione, which is considered the gold standard. However, this method is expensive and not very convenient. The good news is that after a very LONG search, I found a form of glutathione that is acetylated and uses nanotechnology, which prevents it from getting broken down in your gut, allowing it to be absorbed. I can confidently say that the glutathione supplement I carry in my store is the most effective oral form of glutathione available! With my history of autoimmunity, heavy metal overload and toxic mold exposure, I make sure to take it myself every single day. And I stock up and take extra when I travel (due to my increase toxin and mold exposure) or any time I feel I might get sick. So if you’re ready to feel the impact of glorious glutathione for yourself, be sure to add this into your daily routine!